This is not beach camping. 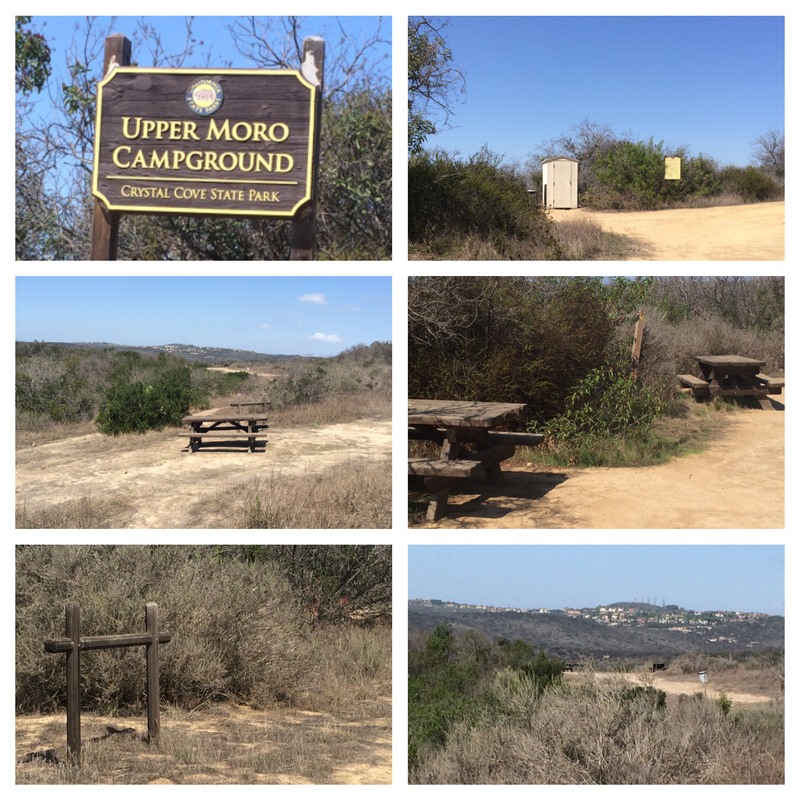 All Crystal Cove Primitive tent sites are accessible only by foot, and require at least a 3 mile hike inland from the parking lot. No drinking water is available, all belongings and trash must be packed in and packed out with you. 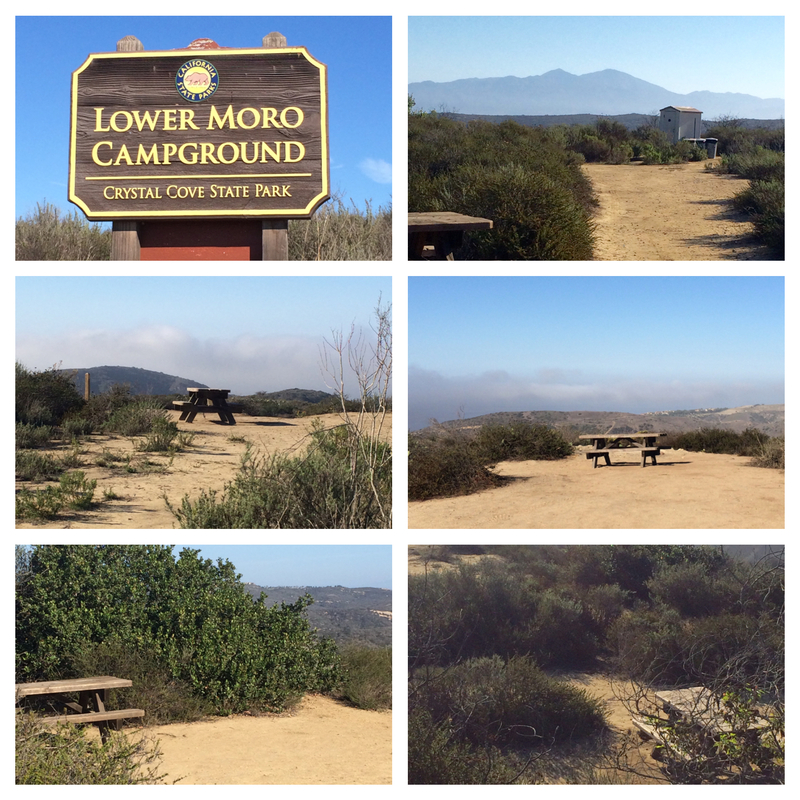 There are no wood or charcoal fires permitted in the park. Only backpack stoves are permitted. Fees include entry for 1 vehicle. Any additional vehicle will be $15 per night. 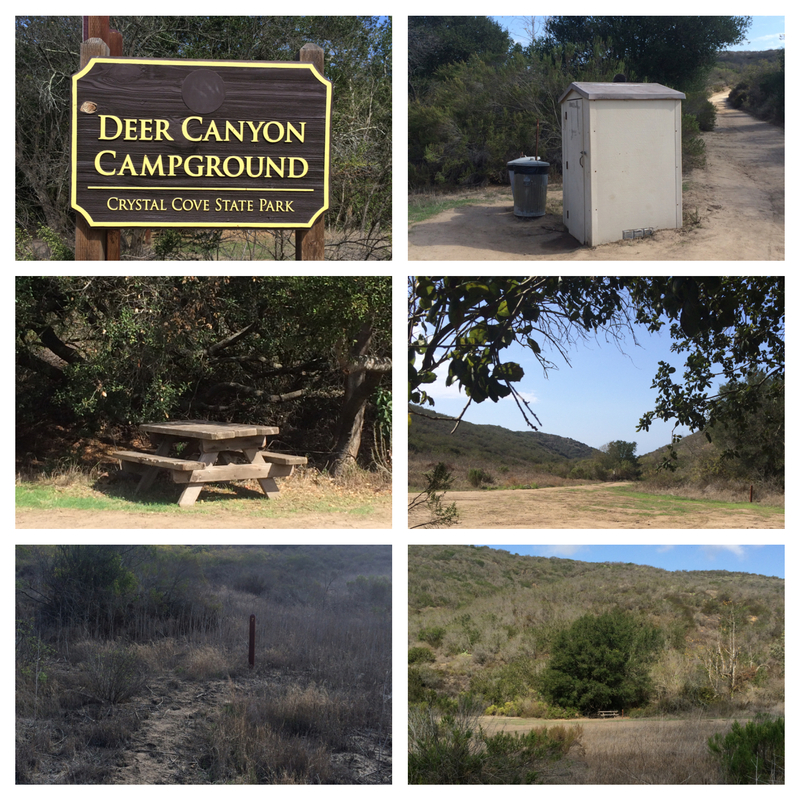 All reservations are made through Reserve California, you can visit them at www.reservecalifornia.com or call 1-800-444-7275. Reservations can be made 48 hours to 7 months in advance. Any unreserved sites will be sold at 10:00am each day for 1 night only. 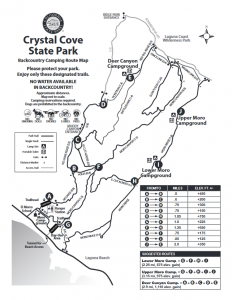 Click here for campground map.